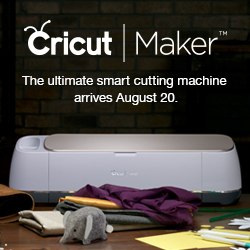 What tools do you need for using Cricut machine? Cricut machines are very useful in making crafts. You can use it to design bags, clothes, artworks, etc. Designing is now much easier after the invention of this machine. Before you use this machine, you need to know what tools are required to use this machine. A Cricut machine has different types of cutting blades. There are a regular blade, a deep cut blade, and replacement blades. The regular blade can cut paper and other lightweight materials. For working with thick materials like wood, chipboard, fabrics, etc. you need to use the deep cut blade. In order to cut a material properly, you need to use a cutting mat. The mats are available in different sizes and grip levels. You need to change the mats often; otherwise, they will get sticky and you will have a hard time cutting the materials. You should use a spatula to clean the mats. You should have different types of pens to write on materials like paper, chipboard, wood, etc. You can have different colored pens for writing and creating designs. It is necessary for vinyl projects. You should use this to pick the pieces from the project. It can be used for iron-on as well. If you don’t know how to use it, you can watch a tutorial online. There are many other tools available as well for various kinds of projects. However, these are the common tools needed. You can get some of these tools along with your Cricut machine. If you have any confusion about how to use them, you can look at different online resources.